Think outside your espresso cup and raise the bar by using Italian ingredients in new and different ways. Chefs like Michael White free associate to create Italian dishes that are both traditional and crosscurrent. White’s slow roasted pork shoulder pairs traditional Italian ingredients like aceto balsamico, garlic, rosemary and olive oil with Kentucky Bourbon for an overnight food storage bag marinade. 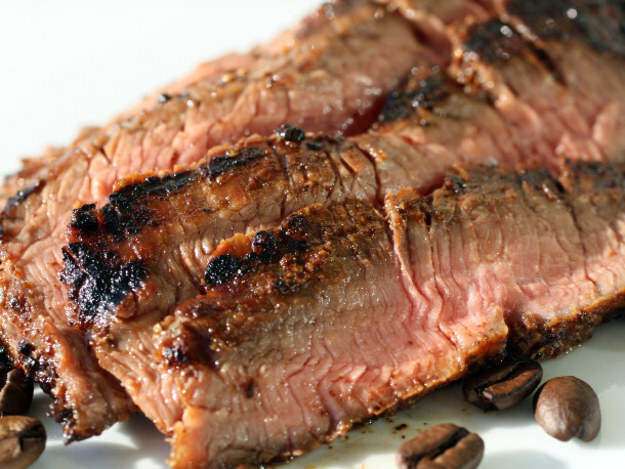 Or grill an espresso- charred flank steak, a juicy sliced steak with a complex and flavorful crust. My first experience looking at Italian ingredients in new and different ways began with an “outside the box” version of Italian cooking from chef and restaurateur Pino Luongo. His cookbook La Mia Cucina: A Tuscan Cooks in America took Old World Italian recipes in New World directions with the mantra “rules were made to be broken”. His widely innovative ingredient pairings like Eggplant Chocolate Mousse were either praised or panned but his abiding love for the cooking of his native land always came through. Contemporaries and converts soon followed. Chefs like Rick Tramonto became playfully inventive creating an amuse-bouche of miniature mouthfuls like tiny ricotta-stuffed rigatoni served on a bed of spring vegetables rather than pasta and then suggested serving prosciutto with a mascarpone foam. A Nuovo Mondo , new world, of Italian cooking had been created where modern and traditional recipes were blended with alternative ingredients or new ingredients used in different ways for a new paradigm of Italian cooking. It is doubtful these dishes will replace the culinary classics and essentials of Italian cooking but it’s fun to think of using coffee flour to make my next batch of brownies.